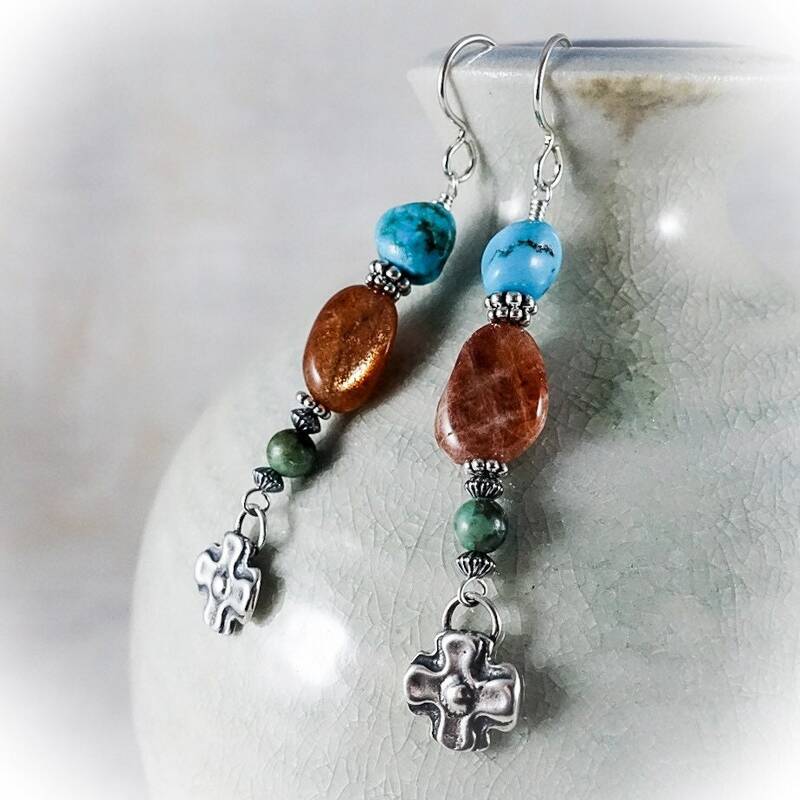 Blue turquoise, ruddy sunstone, African turquoise and small sterling silver southwest crosses. 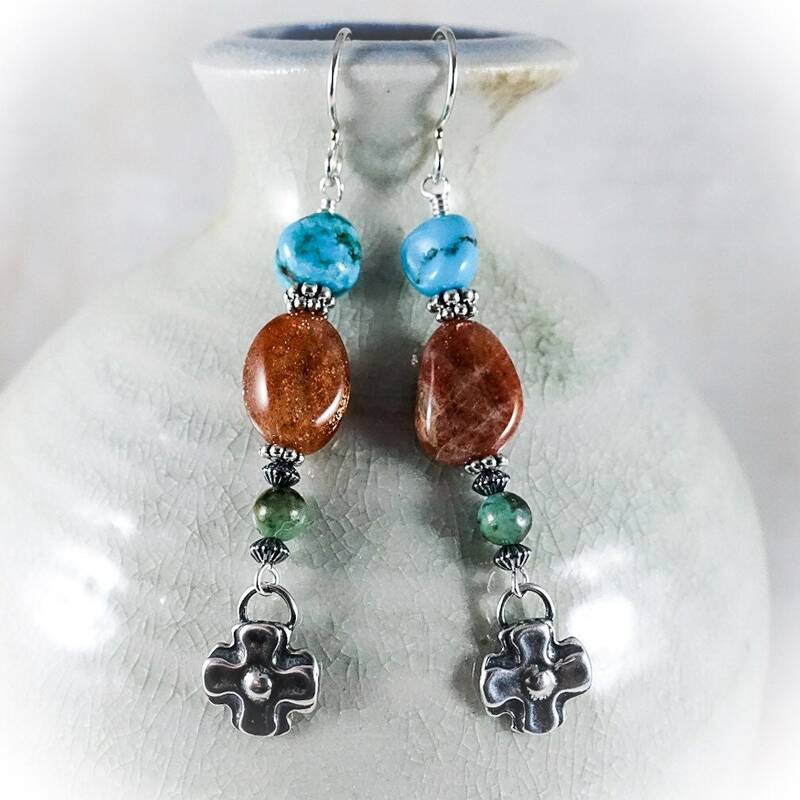 These earrings hang approximately 2 inches from sterling ear wires. Lightweight with some movement.